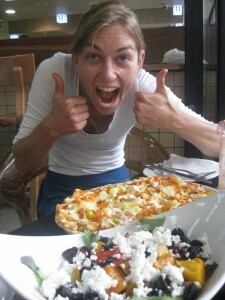 Thank goodness my travel from Ecuador to Zambia was problem free!! All my flights were on time and totally hassle free. The biggest challenge was remembering which way I was walking down the street during my 18 hours in Sao Paulo, Brazil (I was so tired that walking for more than 5 minutes at a time meant I’d forget if I was going the right way and was constantly checking the map.) Eventually I decided I was a liability and headed back to the airport to sleep on the floor. Arriving in Zambia I was collected by my backpackers and brought into town. My first day in Africa was spent catching up with Rosie, who has spent her last five weeks in St Lucia. I think we literally talked for 14 hours. In was unbelievably nice to see her and catch up on everything that had been happening. I even managed to stay awake through the jet lag (I think the time difference here is about seven hours and I hadn’t slept in a bed for over 48 hours). I arrived at the hospital right on lunchtime – in what I’m told was record time (7 hours!) This was great as it gave me the chance to meet all the students in one hit. I was placed in Parkinson house, with an English girl who was leaving in a few days and four Australian students who are here for the same amount of time as me. The poor Ozzies were away at the time of my arrival though and so came home to a bit of a surprise a few days later! The hospital grounds are relatively large. They are green, grassy and tree lined, with the orange dirt road leading up the middle to the hospital itself. In the grass surrounding the road are a series of English style villas, where the students and doctors live. The power goes out fairly frequently, but I am fortunate enough to be in the house connected to the generator, meaning that when the power is out we still have lights! However, resources are extremely tight. Twice weekly we have morning meetings, which usually end with “and this week we don’t have this… or this… or this…” Last week it was IV fluids and blood. The week before it was salbutamol inhalers. This week its broad-spectrum antibiotics – a terrifying prospect with the need to treat neonatal sepsis! These lack of these resources, as I’ve seen first hand, cost lives. But no amount of bargaining and organization seems to get the necessities here before they run out. Basic blood tests, such as a full blood count have not been possible for months, as the technician has not yet come out from South Africa to fix the machine, despite regular phone calls. Despite the difficulty with resources, the doctors here do an amazing job. They work long hours and regularly make difficult decisions about patient care. And they still take the time to teach the regular flow of students, and are incredibly patient with our, at times, ridiculous questions. On arrival, I felt I knew nothing about malaria, Tb and HIV. Now after two weeks, these are diagnoses that we make daily. I have been given the opportunity to perform practical tasks such as lumbar punctures, ECHOs and ascitic taps on the wards. Here, I feel like I am a useful part of the team. The pathology seen here is incredible. As patients delay presentation for as long as possible, I feel I will never again get wrong the presence of physical signs, which at home we can only imagine. Having spent two weeks on the male medical ward, I have swapped over to do paediatrics. Having survived my first day in the paediatric ward, I am again struck by the inadequacy of the resources available (and my knowledge! ), and the doctors’ efforts to simply try to make the most of what we have. There are so many sick children; there are regularly 2-3 children per bed. Things that one would not even contemplate at home, are very real problems here such as there not being enough oxygen to go around all those that need it. The babies in the special baby unit who get neonatal jaundice are put under a window, as there is no other UV light source. But yesterday, one of the children on the malnutrition section smiled at me. It is a fantastic sign, meaning he is getting close to going home! It is situations like this that make the work so worthwhile. It’s times like this that provides hope that people you treat benefit from your input. Most of the patients here do not speak English. This means that much of our work is done through translators. It creates many an opportunity for hilarious moments when I attempt to speak to people in my default second language – Spanish. Generally, they look totally bewildered, but then make full use of the opportunity to crack up laughing at my attempts at the local language. It has not all been work here though. 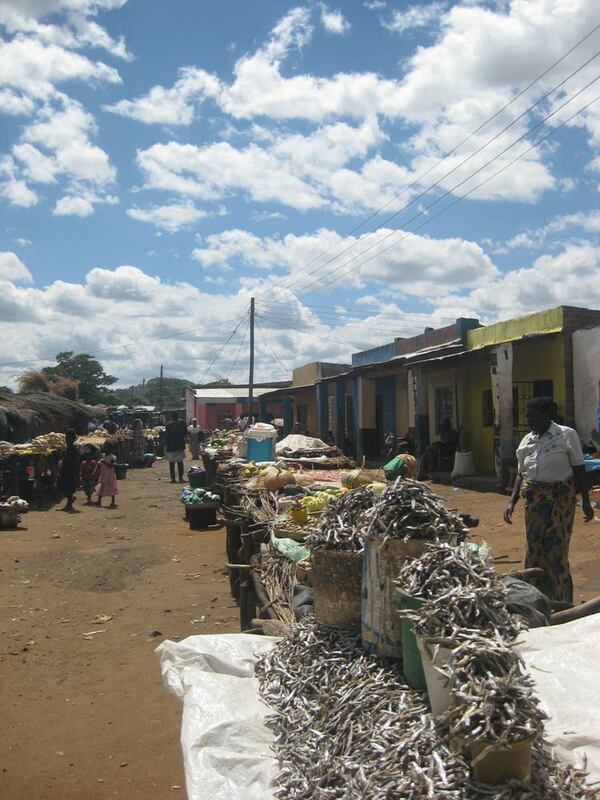 I have made a day trip to ‘town’ – Chipata, which is a bit over an hour in the car, for food supplies like cereal and tea. It was lovely to sit by the pool for an afternoon and use the internet in an extremely civilized hotel – such a contrast to the outside world, and a bit of a welcome relief! I’ve been cycling through the countryside around the hospital, through the cotton, maize and sugar cane fields. I have climbed up a few of the surrounding hills with other students – the view is incredible! You can see all the way to Mozambique (which is actually only about 30km away…). Over the last weekend I went on a cultural safari to one of the nearby villages. Here we had such fun with the little kids. We were their jungle gyms, they loved running off with our cameras to take photos and to stroke my straight hair! They sang for us and dragged us up to dance with them. We experienced traditional women’s and men’s dance, as well as local food. I must say that I am not a fan of nshima but at least I can say I have given it a fair try… but I maintain it tastes a little like glue! Such good memories from the night! A group of us get up at 6am more or less every morning to exercise as the sun rises. The temperature and lighting at this time of day is absolutely magical! On one occasion we had a little kid come and join us. He was fascinated by the Ipad ordering us around for a Nike gym class and decided it would be great to join in! A week ago I discovered a baboon spider in the bathroom. 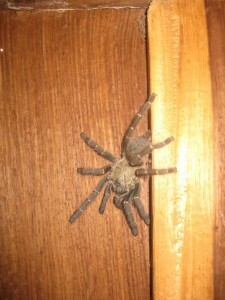 Imagine, walking into the bathroom and finding a tarantula build spider hanging out on the door! Gave me a huge fright, but sadly none of the boys showed signs of removing it for me. Consequently, I scooped him up into a party hat and threw it outside. However, now when there are other insects in the house I’m sought out to remove them! Oh dear! I can’t believe I have been here for 2.5 weeks already and my time is more or less half up! I don’t want to go home – there is so much good work to be done, and the pace of life here is fantastic! In just two days, Rosie is coming up with her organization to do some orthopaedic surgery and then coming on safari to South Luwanga with a group of us from here. Am very excited to see her again!